I think I lucked out for Thanksgiving this year. My parents have decided to host the dinner and cook all (most) of the food and I get to do the table setting…at their house. Which is decidedly more spacious and luxe than mine. 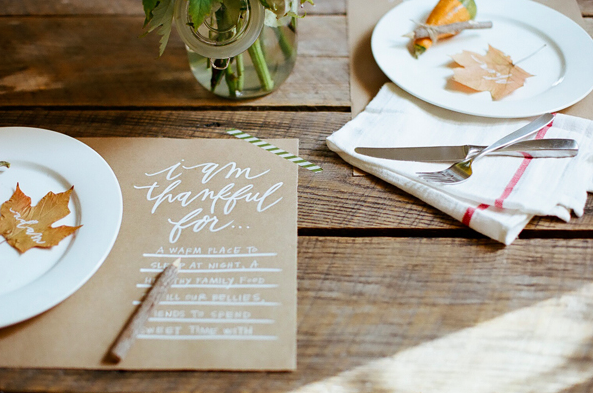 Thanksgiving is quickly becoming one of my favorite holidays and creating a chic, inviting table scape is one of the very best parts. You can infuse the holiday with a little style, warmth and the perfect personal touches to make the meal memorable far beyond the pumpkin pie. It’s such an important tradition and one I look forward to carrying on for many years to come. Here are some bits of inspiration that I am loving for this year’s look. 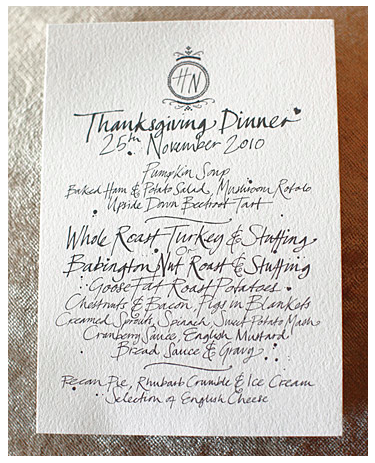 (above) A hint of glitter should really be incorporated into every holiday and this is a subtle, stylish way to do it. 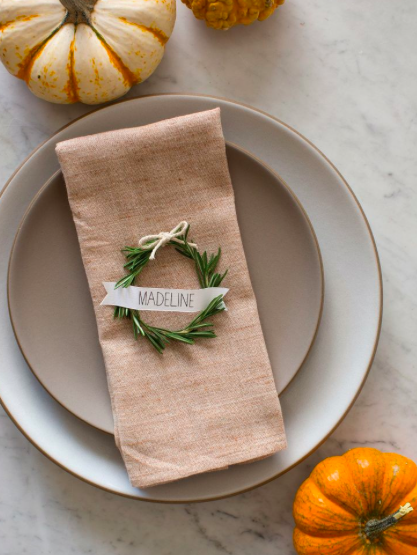 I incorporated fresh herbs into our Thanksgiving table last year and it was such a nice touch. I love the idea of doing it again and these little rosemary wreaths are a perfect option. A simple and sweet rustic table. 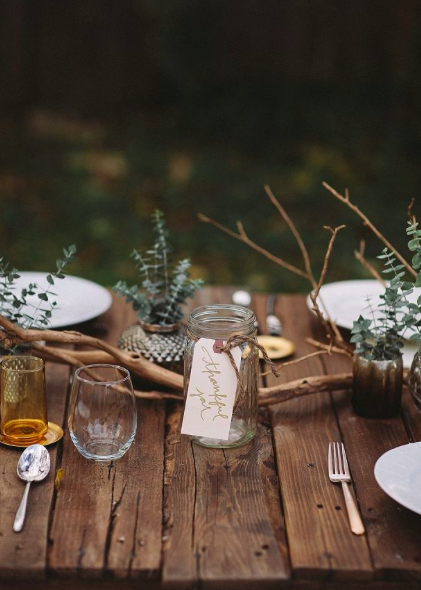 This one is a little too rustic for my family’s taste but if I were ever to host a Friendsgiving, in the woods, under a blanket of November stars…it would look a lot like this. 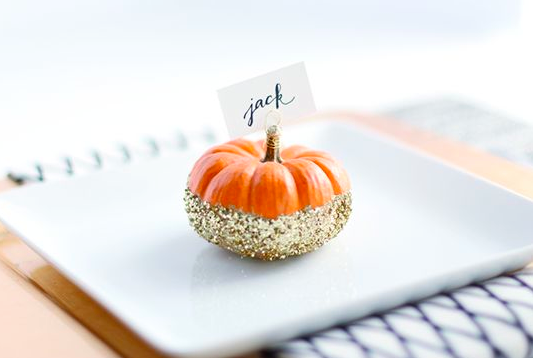 Love the glitter pumpkins. One thing:I attempted to make those rosemary wreathes last year, but it was really hard to find rosemary sprigs that worked. Because if they were pliable, they were too short, and if they they were long enough, they weren’t pliable.